Are you looking to learn programming but not sure how and where to start? Simplilearn’s C Programming Language online course provides beginners with easy-to-follow instructions and an arsenal of resources to make them fluent in C language methodologies such as variables, data types, loops, arrays, etc. In today’s era where technologies and best practices are changing rapidly, and demand for qualified candidates is significantly increasing, a certificate from Simplilearn is the key to your success and a valuable add-on in your resume. Our training courses are designed and updated by 2000+ renowned industry experts, and more than 40 global training organizations have recognized us as an official provider of certification training. 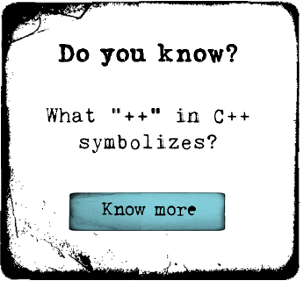 C has been around for 50 years, and it will continue for another decade or more. Any student or programmer who adds knowledge of C into their programming skill set is guaranteed to succeed in the tech industry. An adept knowledge of C programming language will help you learn and grasp other programming languages with ease. There are no prerequisites for this course. Prior knowledge of programming is beneficial but not mandatory.